Happy Tuesday, Friends! Tuesday might not necessarily be your favorite day, after all, it isn't Friday... not even close! But I'm hoping that my quick Tuesday's 10 Second Teaching Tip will make your Tuesday a bit brighter! Today I want to talk about grading papers... not the quick one page kind. I'm talking the 3 - 5 page packets that sit on the corner of your desk mocking you. The kind you dread to grade because it will take you hours! Well, I have an idea that might take some of the pain out of it and save you a bit of time... and we know... a teacher's time is precious! Get out your answer key... take a look at page one.... and then grade ALL of the page one's in your stack. Then move on to page 2 and grade ALL of page 2s, etc. Grading this way saves you time because you get to know the answers for the page you are working on and you don't have to keep referring to your answer key. Also, there is less page flipping and I don't know about you, but I hate flipping those flippin' pages! 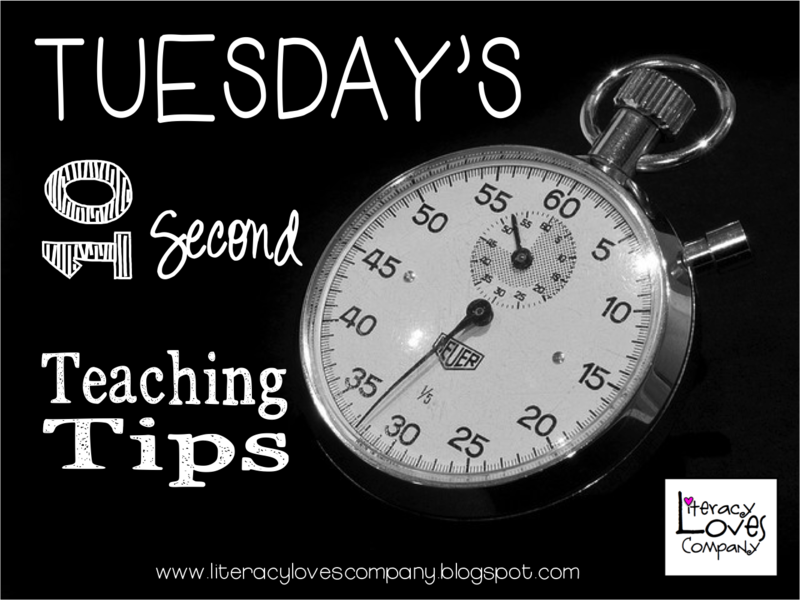 Thanks for stopping by and I hope to see you next week for another Tuesday's 10 second teaching tip! Make Math FUN! Add a Splash of Art!